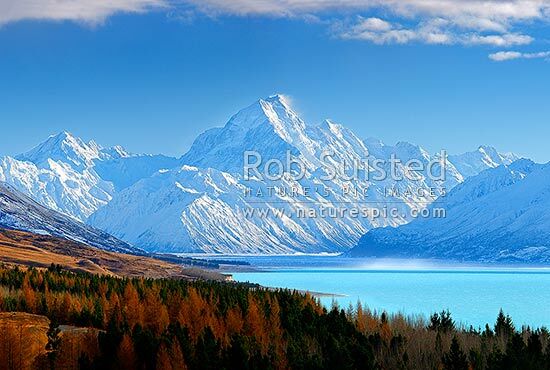 Aoraki / Mount Cook (3754m) and Lake Pukaki in winter. Mt La Perouse (3078m) left, Tasman Valley and Burnett Mountains Range right. Late autumn colours, Aoraki / Mount Cook National Park, MacKenzie District, Canterbury Region, New Zealand (NZ), stock photo.